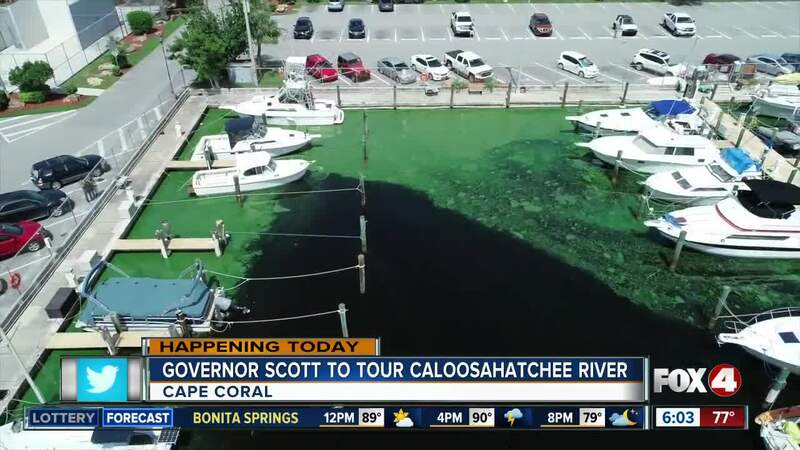 CAPE CORAL, Fla. - Governor Rick Scott toured the Caloosahatchee River Monday morning to get a close up look at the toxic blue-green algae plaguing southwest Florida waterways. The boat tour started at 8 A.M. Monday morning at the Horton Park and Boat Ramp near the Midpoint Bridge. The governor is looking at the areas on the river where the State Department of Environmental Protection is putting in more water monitoring stations. 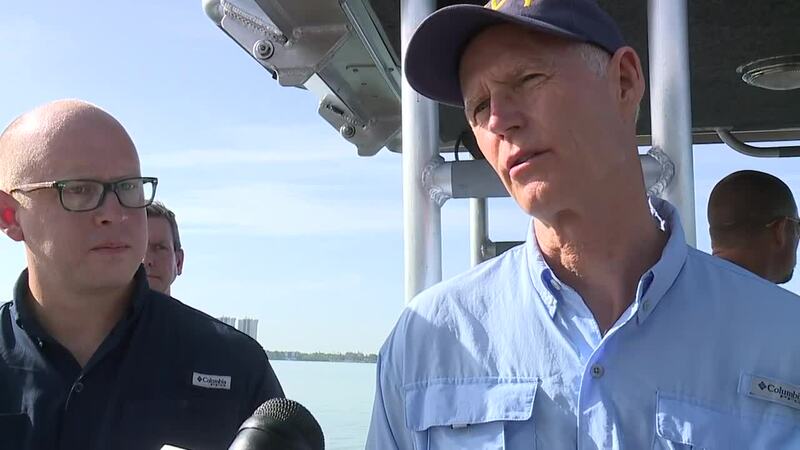 The governor's communication director says in part, "Governor Scott has taken action to combat the algae blooms resulting from the Army Corps of Engineers' water releases from Lake Okeechobee. This includes ordering the Department of Environmental Protection to issue an emergency declaration two weeks ago to move more water south of the lake. During Monday's visit, he announced that he will be declaring a state of emergency. "I'll be issuing...it's going to be a variety of things today, including a state of emergency." Governor Scott's visit comes just after the Army Corps of Engineers' announced they will end water releases from Lake Okeechobee at 7 A.M. Monday morning. The Army Corps says this will allow water managers to conduct a full assessment of system conditions. As of Monday morning, the water level in Lake Okeechobee is at 14.44 feet. The water has risen .2 feet over the last two weeks. Four In Your Corner's Jillian Hartmann will be on the boat tour as well. Stick with Fox 4 for updates to this story.